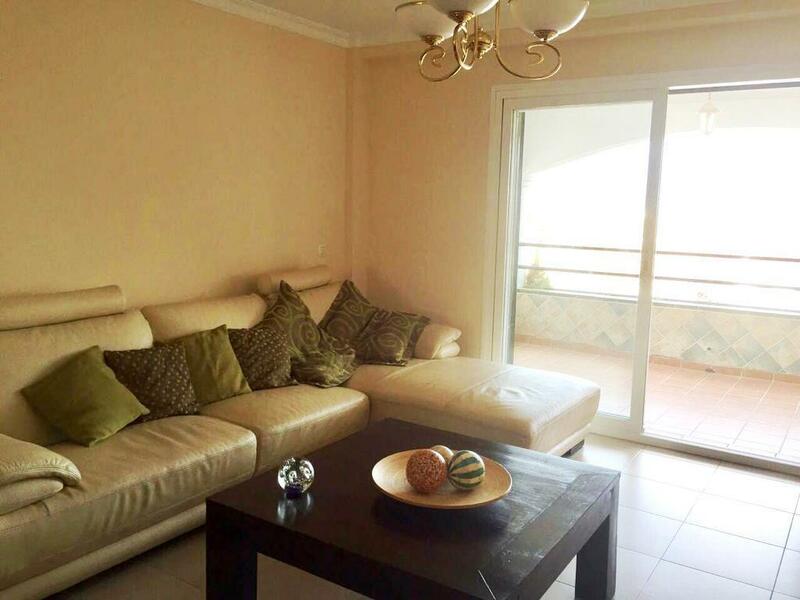 Spacious apartment with 2 double bedrooms and each with a terrace overlooking the sea and very green. 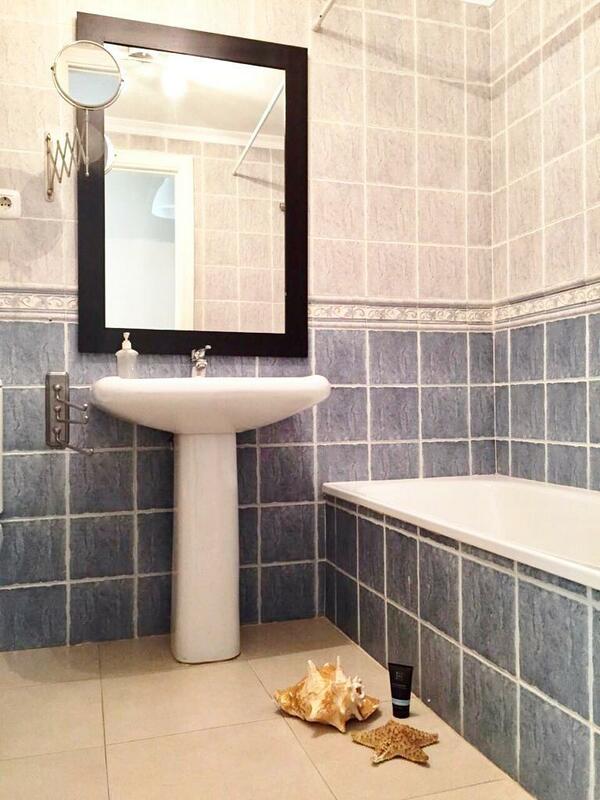 1 bathroom, Living-dining room with exit to the terrace, large kitchen with a closed terrace use as dining room. Dressing room. The floor is for entering and living but has many possibilities like building another bedroom and bathroom. That has useful 100m2 without counting the terrace of the kitchen (dining room) Southeast and northeast orientation. Closed residential with parking, swimming pool and community tennis court. 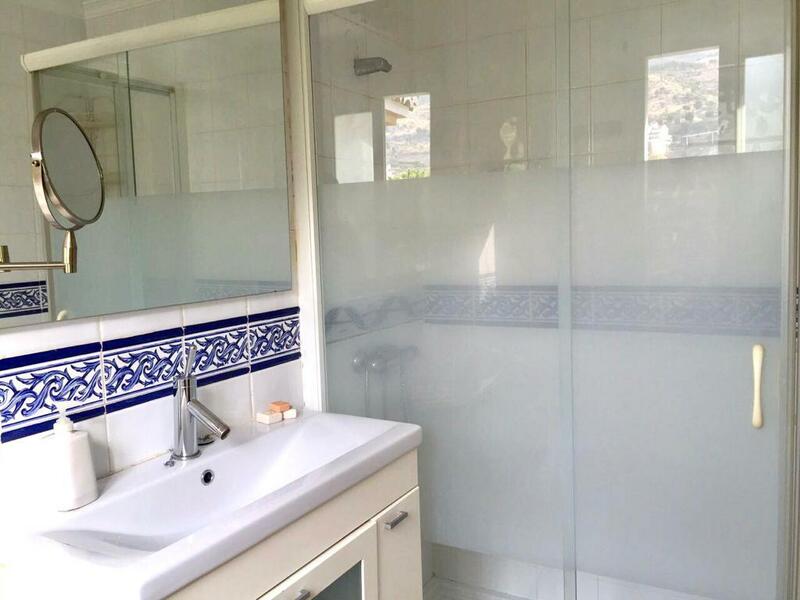 Close to the beach and center of Arroyo de la Miel. 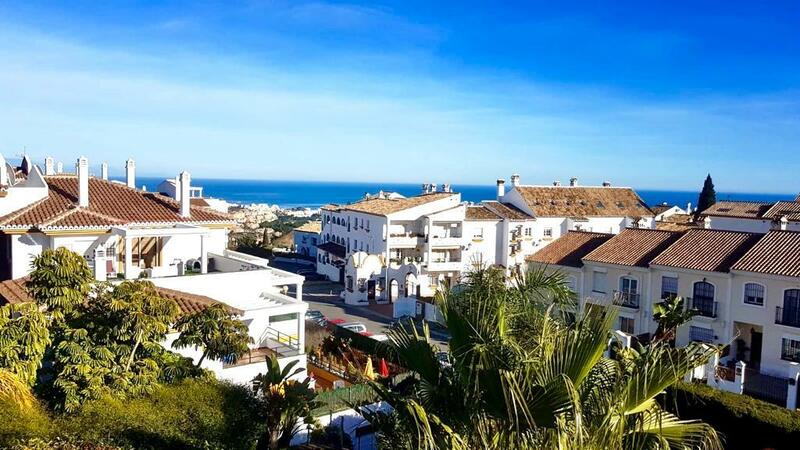 Realtiesgroup.com Detached Villa, Guadalmina Baja, Costa del Sol. 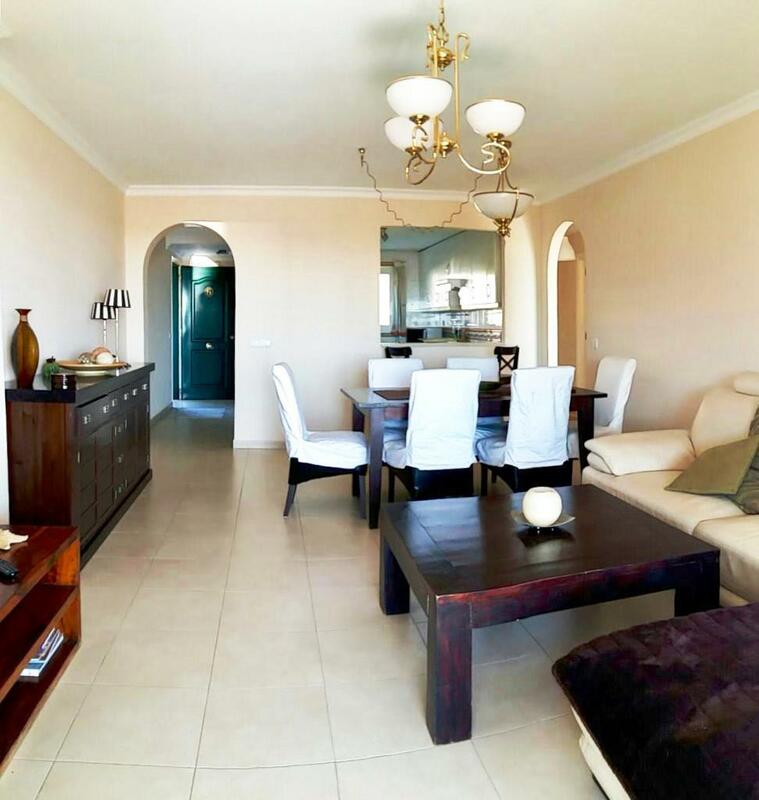 3 Bedrooms, 2.5 Bathrooms, Built 286 m², Terrace 100 m², Garden/Plot 1050 m². 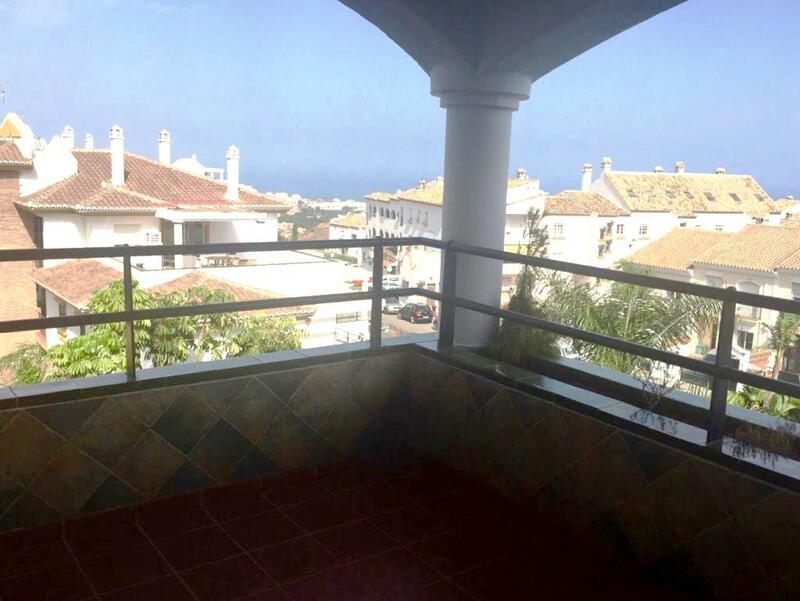 Setting : Commercial Area, Beachside, Close To Port, Close To Shops, Close To Sea, Close To Town, Close To Schools, Close To Marina. Orientation : West. Condition : Excellent. Pool : Private. Climate Control : Air Conditioning, Fireplace. Views : Golf, Garden. Features : Covered Terrace, Fitted Wardrobes, Near Transport, Private Terrace, Storage Room, Utility Room. Furniture : Fully Furnished. Kitchen : Fully Fitted. Garden : Private. Parking : More Than One, Private. Utilities : Electricity, Drinkable Water. Category : Cheap, Golf, Holiday Homes, Luxury, Reduced. 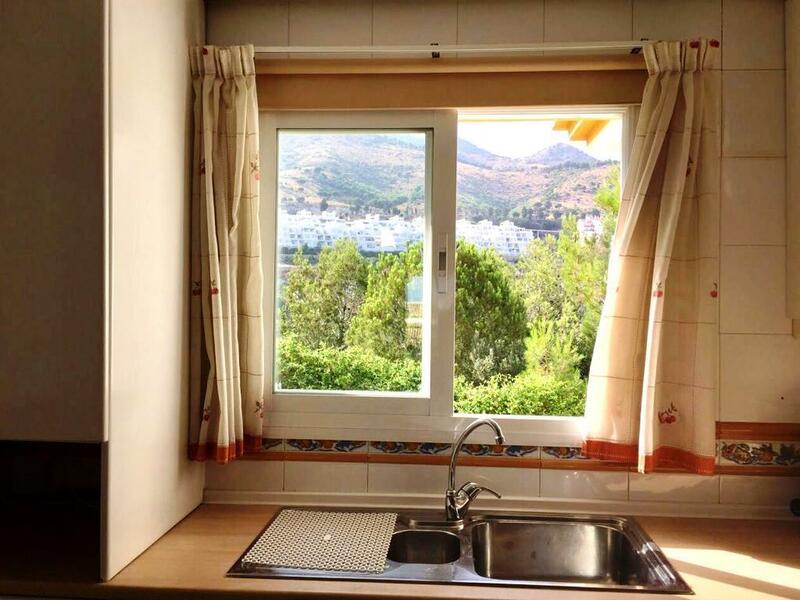 Nice apartment located in Parque de la Paloma (Benalmádena Costa), in the renowned Pueblo del Parque complex. 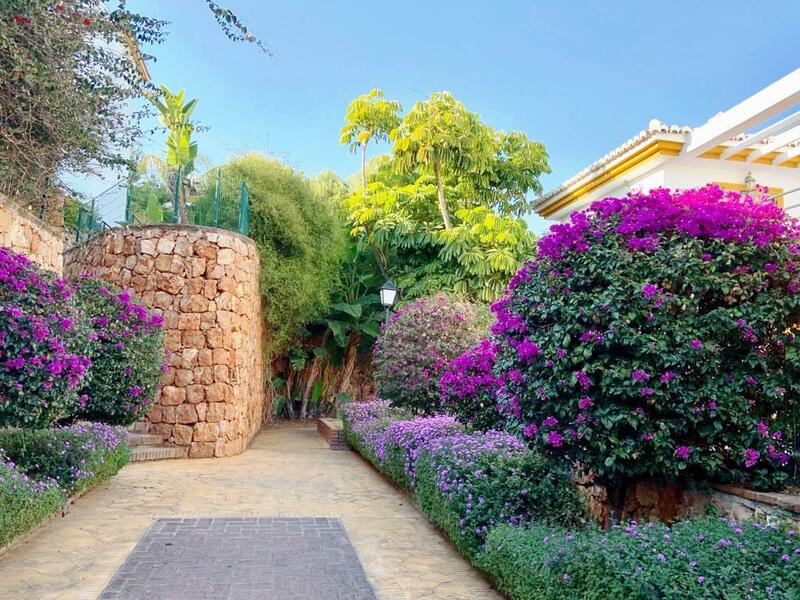 Andalusian-style complex with 2 communal swimming pools, large gardens and 2 bbq areas. 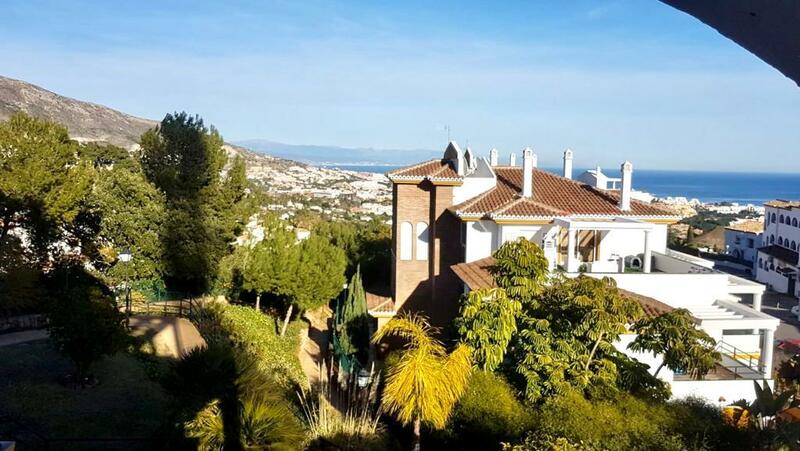 West facing terrace of 9.45 m2 with beautiful pool and mountain views. Sunny and bright property. 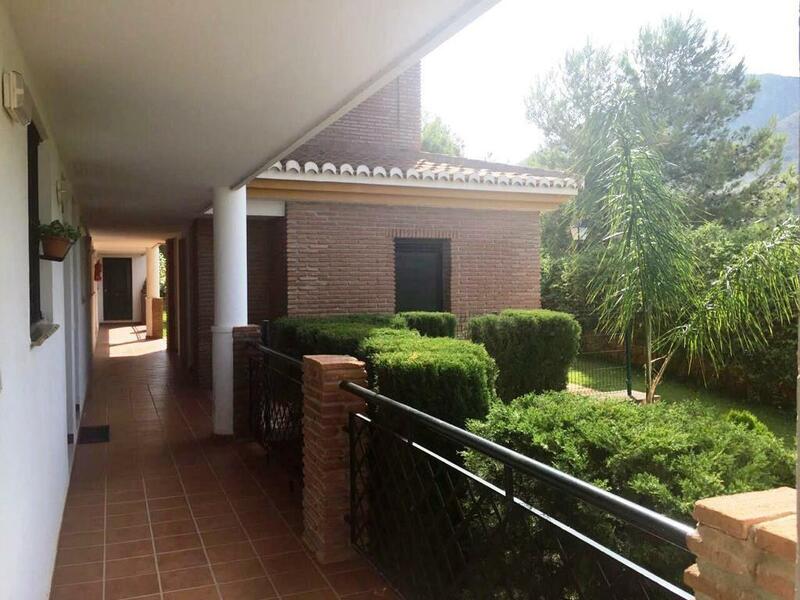 Property in immaculate conditions with marble flooring. 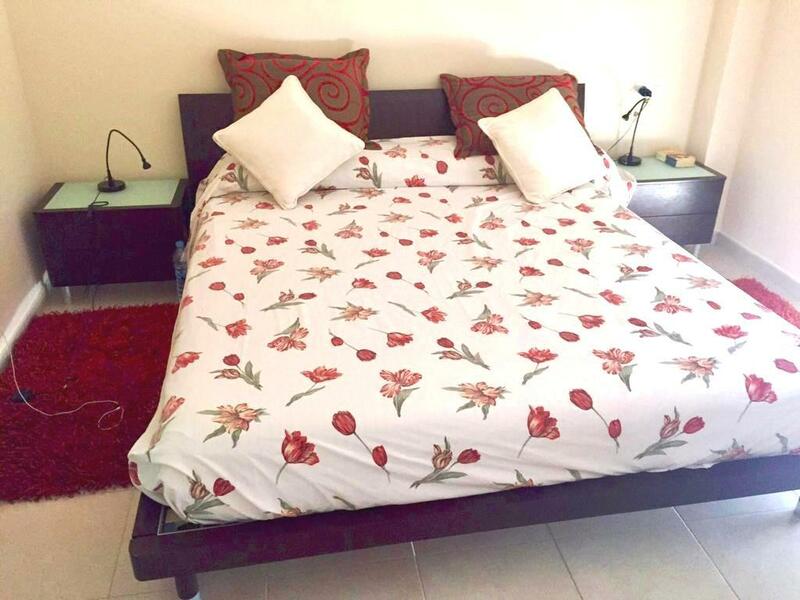 Close to all amenities by. At only 800 mts from the beach. 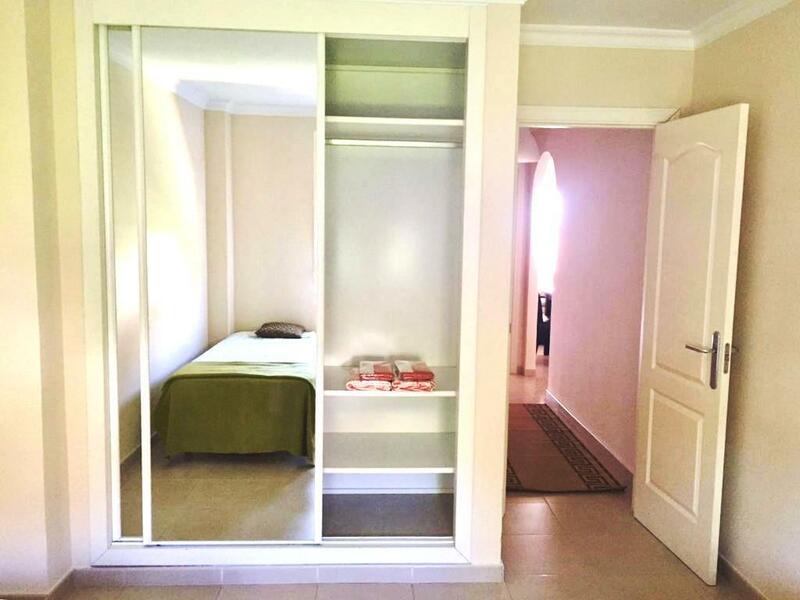 The distribution is as follows: Hall, bathroom, bedroom with fitted wardrobe. Following, corridor, american kitchen, living room and access to terrace. 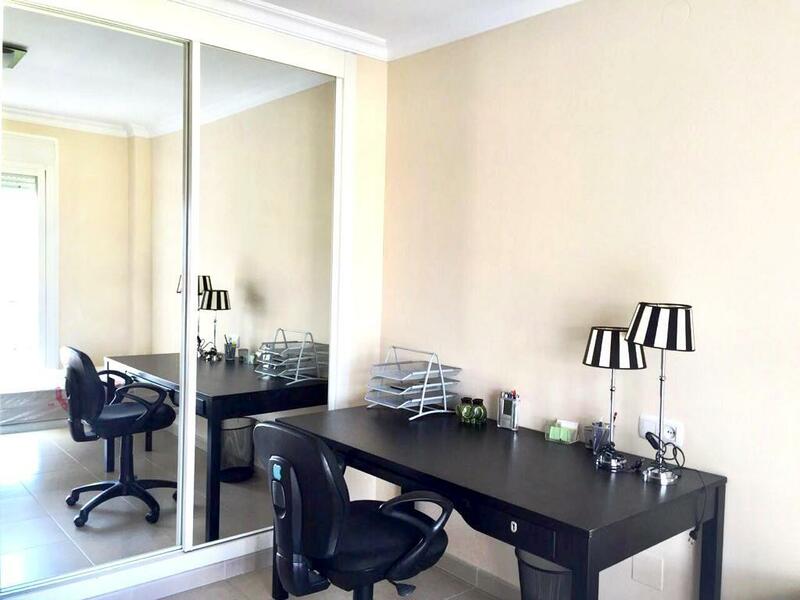 Built area (total): 55.52 m2. 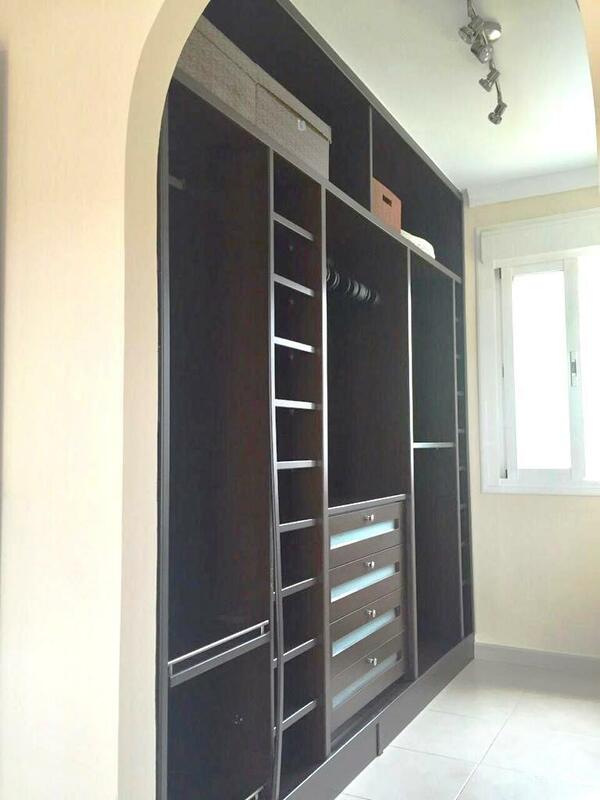 Apartment: 46.07 m2. 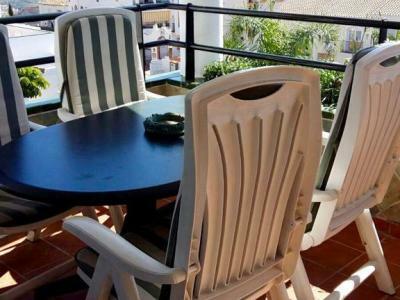 Terrace: 9.45 m2. Floor: 2nd. Community fees: 69 €/month. Orientation: West. Year of construction: 2000. *Distances: -Amenities: 75 mts. -Bus stop: 75 mts. -Supermarket: 350 mts. -Train station: 650 mts. 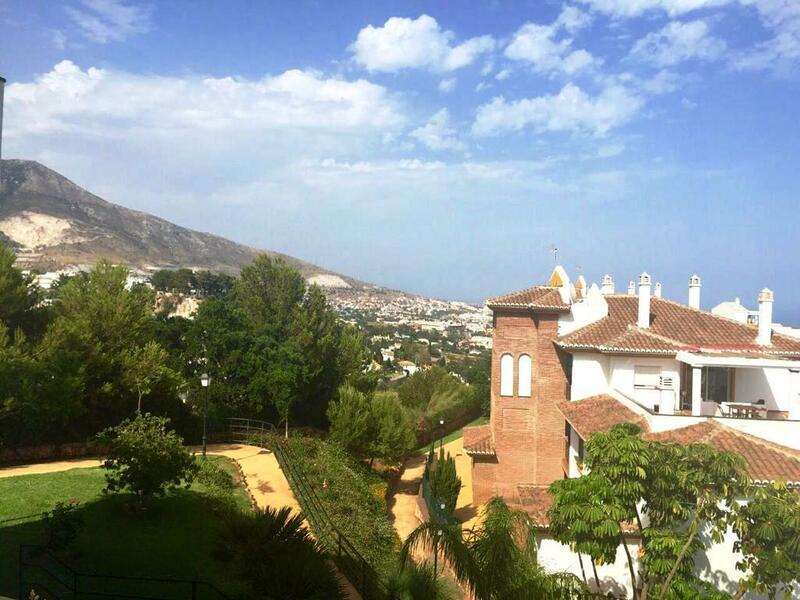 -Arroyo de la Miel centre: 650 mts. -Beach: 800 mts. -Airport: 12.2 km. Calahonda Royal. 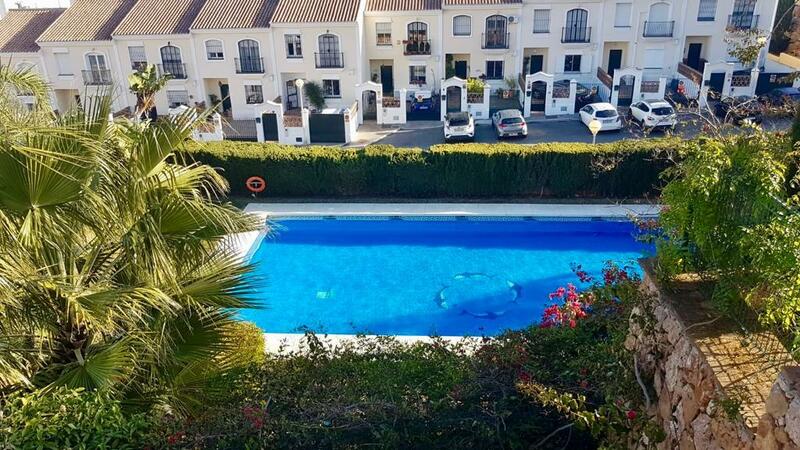 Cozy flat for sale in a well known urbanization of Calahonda Royal, only 250 mt from the beach, with all the services a few minutes walk, supermarkets, bus stop, cafes, etc. 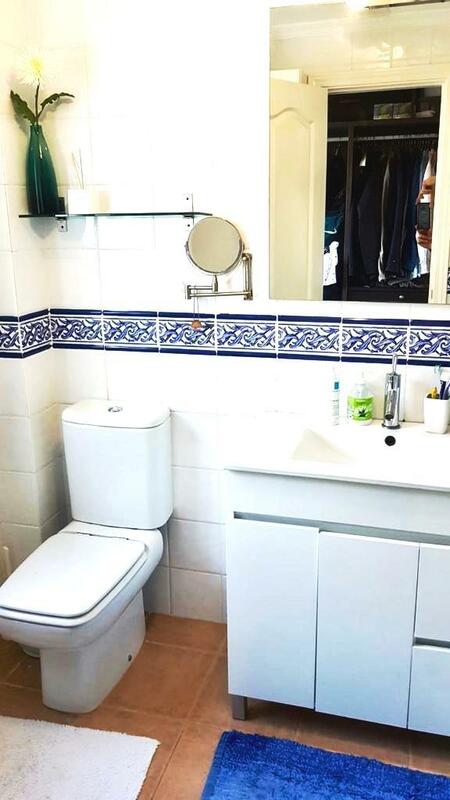 1 Bathroom 1 Bedroom The living room is very spacious and bright, a terrace of More than 20 m2 and very spacious solarium with views, built-in wardrobes parking and communal pool. First line-Paseo Marítimo Rey give Spain. 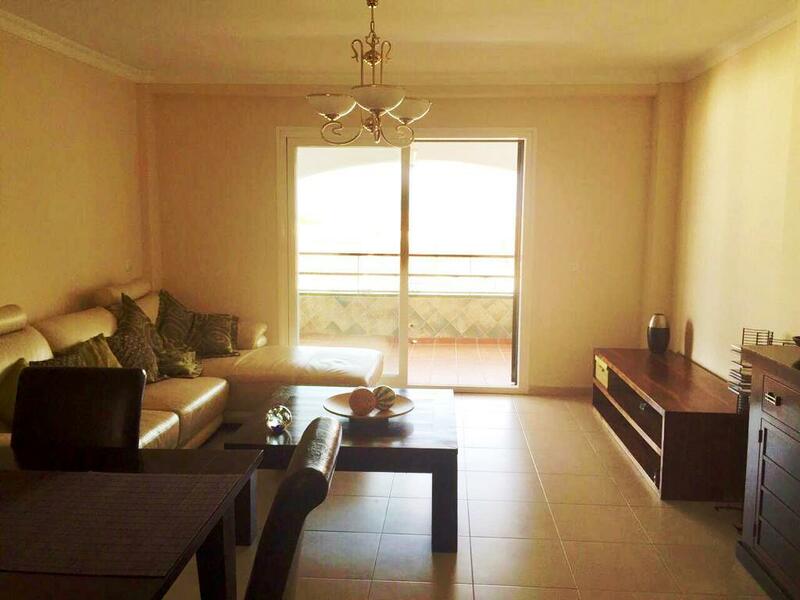 Beachfront apartment with beautiful views to the beach and 5 minutes walk from the center. 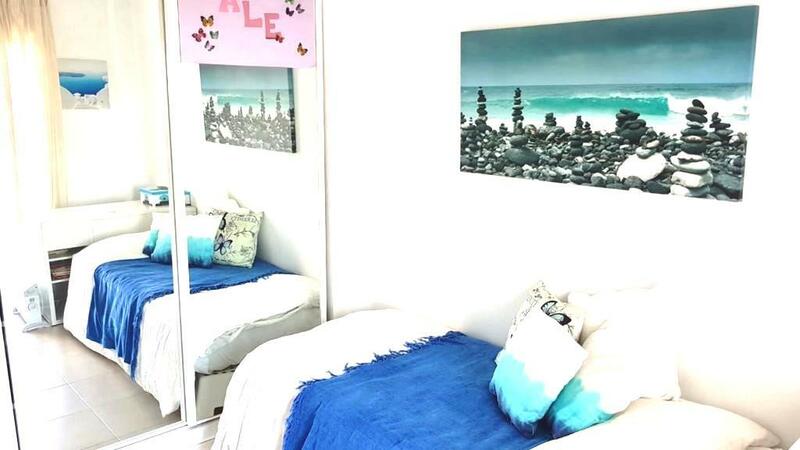 With one bedroom, large living-dining room, independent kitchen, complete bathroom, built-in wardrobe, terrace with sea views. 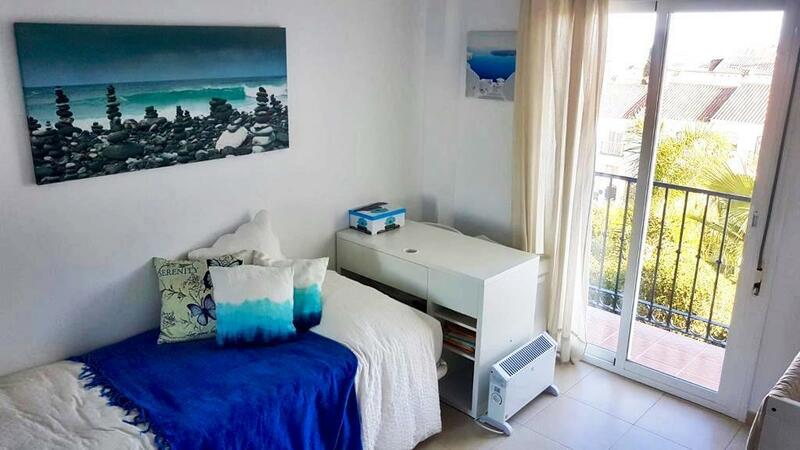 Excellent studio completely refurbished on the hill with an area 52 m2, equipped kitchen, bathroom, lounge, air conditioning, sea views, and communal pool, has the beach 700 m2, very good area to live or rent. Great opportunity! 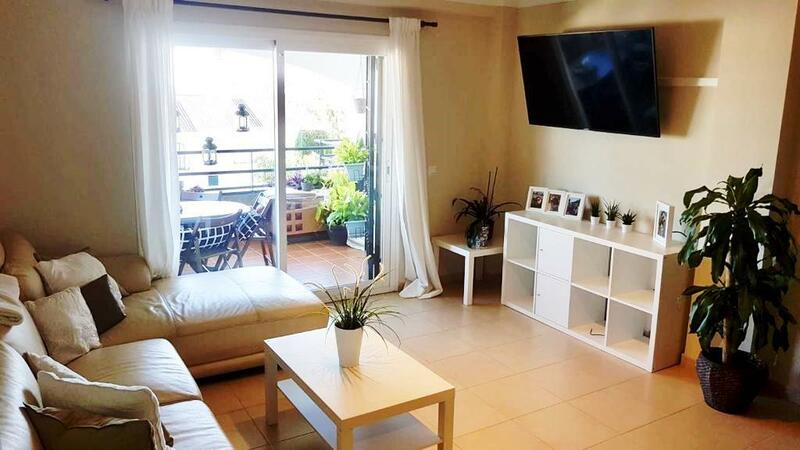 3 bedroom apartment in Benalmádena Pueblo, Higuerón Reserve zone. 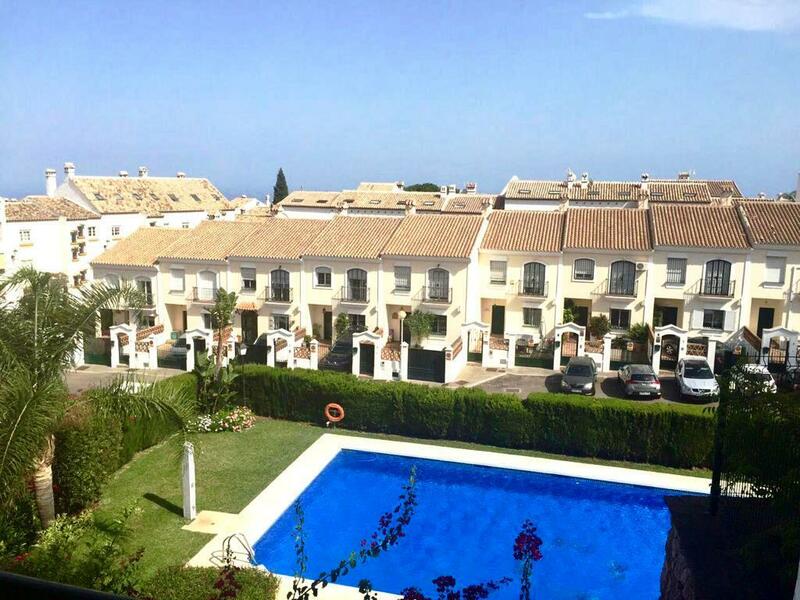 Magnificent apartment located in one of the most demanded areas of Benalmádena Pueblo, enclosed enclosure with swimming pool and gardens. 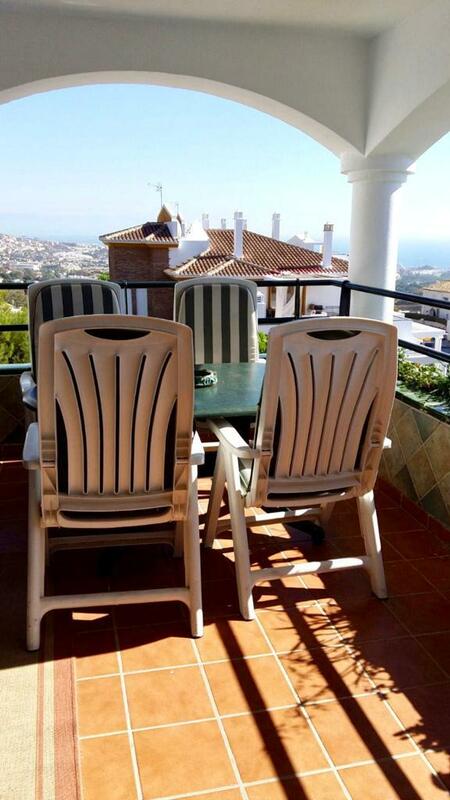 The house has a large living room with exit to the beautiful terrace with wonderful views to the sea and enclosure. 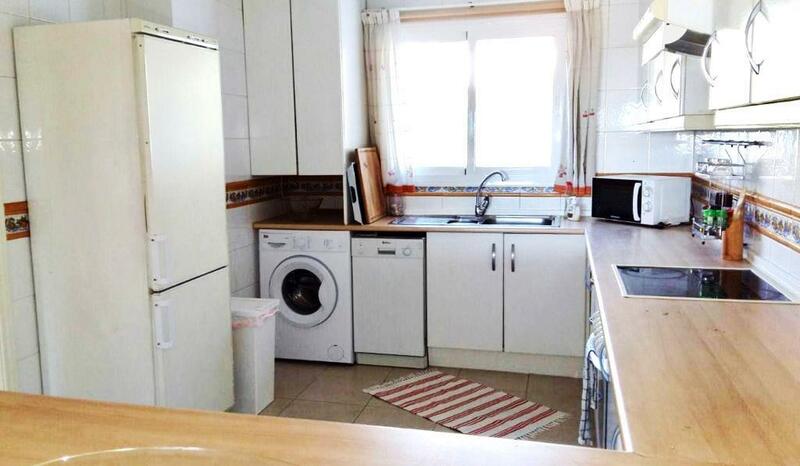 Independent Kitchen with window open to the living room. 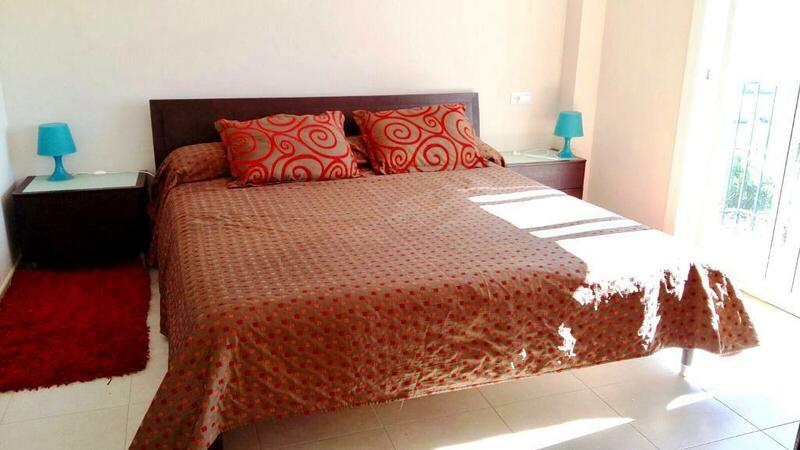 Very sunny bedrooms with fitted wardrobes, 2 bathrooms. Air conditioning. Garage of more than 25m2 in which a part can be conditioned like storeroom. PVC double glazed windows. The urbanization is 10 minutes from the village and 5 from the bus stop. Community expenses: 105 €/month, Ibi: More or less 700 €/year.